A beautiful yet simple Christmas Card featuring the Stampin Up Snowflake Sentiments stamp set, Delicate Lace Edgelits, and Under the Mistletoe Designer Series Paper. 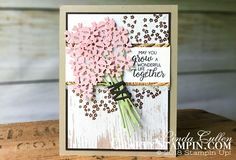 The Delicate Lace Edgelits are so stunning and really make an impact on any card. Find out more about the upcoming Color Your Seasons Limited-Time Products here. 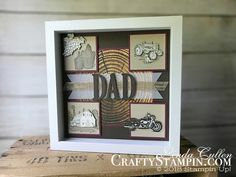 Join my Crafty Stampin Crew, and get a free Ink Pad Collection of 10 Ink Pads. Next Coffee & Crafts Facebook Live will be Tuesday, July 31st @ 11 am EDT . I really like your card. I too can make Christmas cards any time of the year. Really sweet card and the white die cut does just make it pop —thanks for showing and sharing.